Taking out the title of the world’s 4th largest country, it really comes as no surprise that China is home to some truly amazing landmarks. From incredible examples of natural beauty through to structures that hold great historical, spiritual and cultural importance, there are so many unforgettable attractions that are just waiting to be discovered. Check out the 10 landmarks that earned a spot on our must-see list! 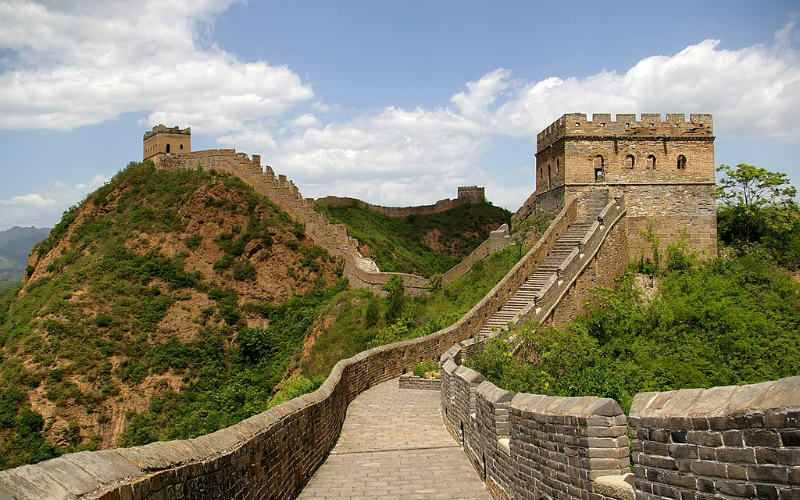 Comprised of numerous walls, trenches and other fortifications, the Great Wall of China is arguably the country’s best known landmark, attracting thousands of visitors from across the globe each year. With construction beginning more than 2,000 years ago and the entire structure covering a mammoth 21,196 km, the ancient military structure is considered to be incredibly important in terms of both its historical and architectural significance. There are countless locations across the country where the wall can be observed, and a number of places where visitors can enjoy a walk along a section of the historic wall. Great Wall of China, China. Image Credit: Jakub Halun / CC by SA 3.0. Situated in central Beijing, Tiananmen Square is a city square that is among the largest in the world. 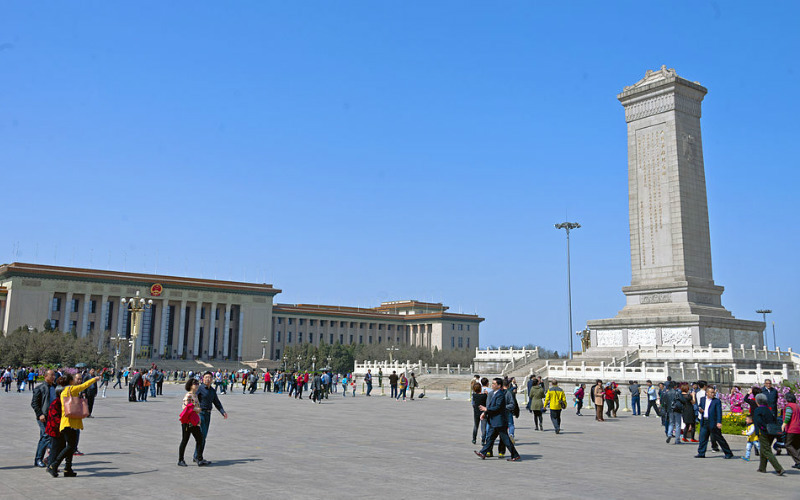 Holding great cultural significance to modern China, the square is home to a number of notable attractions, including the Mausoleum of Mao Zedong, the National Museum of China, the Great Hall of the People and the Monument to the People’s Heroes. Built in 1651 and enlarged several times in the following centuries, the square has played host to military displays, parades and other significant events over the years, including the infamous 1989 protests. Great Hall of the People and the Monument to the People’s Heroes, Tiananmen Square, Beijing, China. Image Credit: Daniel Case / CC by SA 3.0. 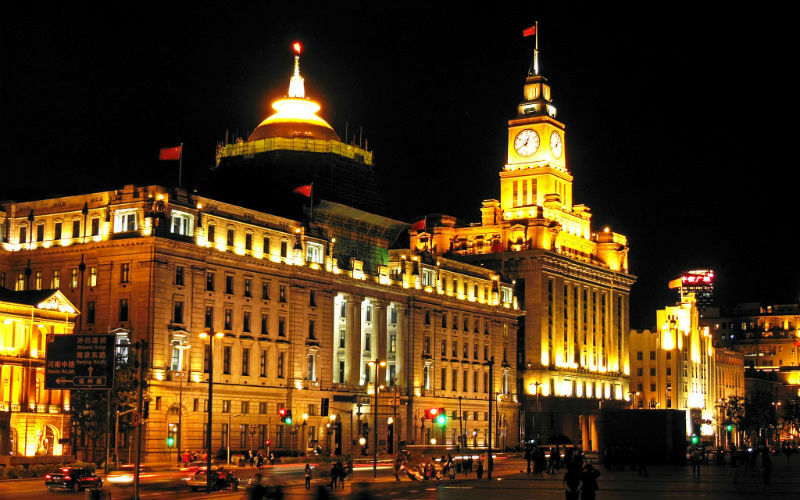 Lined with impressive colonial-era buildings, The Bund is waterfront promenade set in the heart of central Shanghai. Offering a window into the city’s colonial heritage, the area is home to dozens of buildings of varying architectural styles that originally served as consulates, banks and trading houses used by businessmen from across the world. Featuring architectural styles such as Gothic, Baroque, Romanesque and neoclassical, the area is sometimes even referred to as the ‘World Architecture Exhibition’. A stroll along the promenade is also a great way to see the Huangpu River and the Pudong area. The Bund, Shanghai, China. Image Credit: Dimitry B. / CC by 2.0. 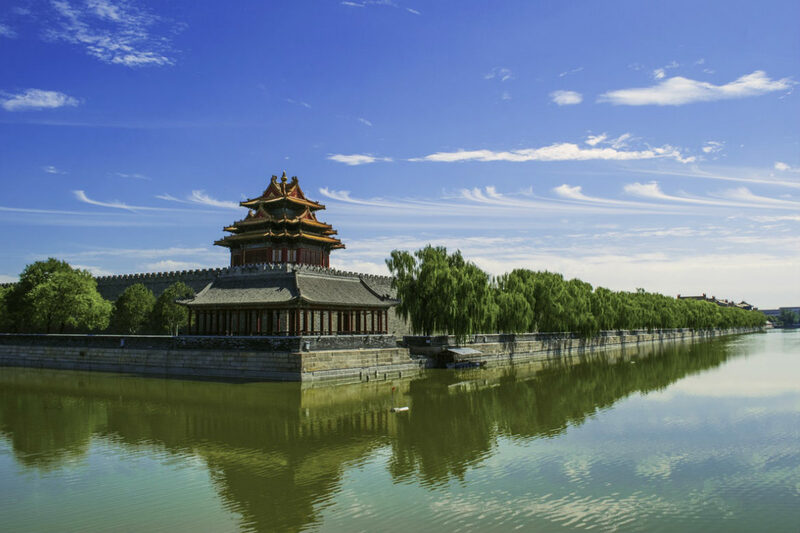 A former imperial palace, the Forbidden City was the home of China’s emperors from 1420 to 1912. 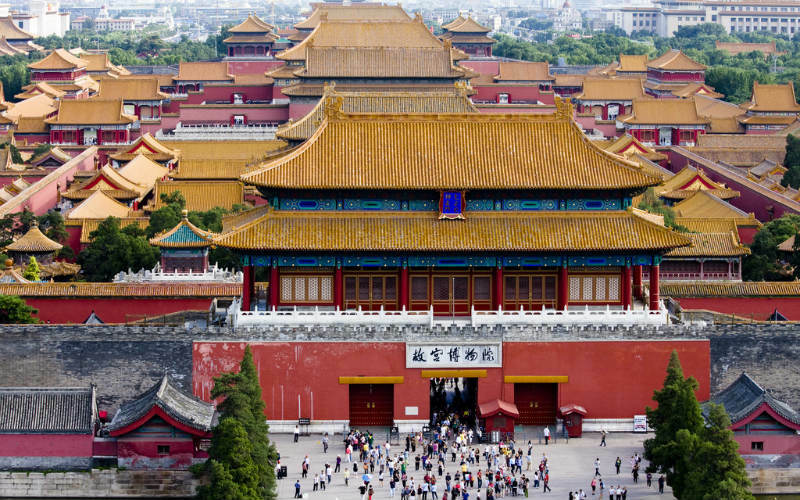 Declared a World Heritage Site in 1987, the complex, also known as the Palace Museum, covers a whopping 72 hectares and is comprised of 980 individual buildings. Although its days as an imperial residence are long over, the complex still houses a variety of cultural and historical items, including paintings, ceramics and the belongings of the former imperial dynasties, which can be viewed while touring the grounds. Guided tours operate throughout the grounds, while self guided audio tours are also available. Forbidden City, Beijing, China. Image Credit: Bridget Colla / CC by SA 2.0. Famed for its incredible Buddhist carvings, the historic Longmen Grottoes are a fascinating World Heritage listed attraction set to the south of Luoyang. Thought to have taken more than 400 years to complete, the site is home to more than 1000,000 hand carved Buddhist statues and close to 3,000 inscriptions. Spread across 2,345 caves and a 1 km long cliff face, the statues span from tiny 2.5 cm effigies through to incredible 17 metre high depictions. 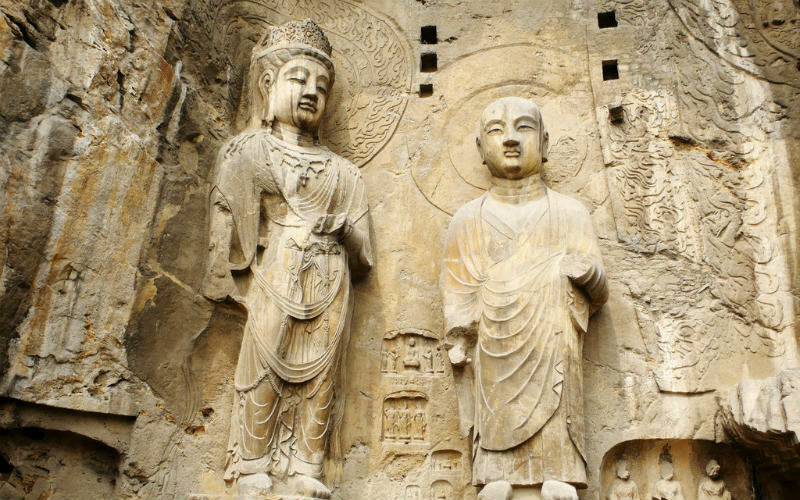 Artistic and spiritual on a grand scale, the Longmen Grottoes are truly intriguing and awe-inspiring. Longmen Grottoes, Henan, China. Image Credit: Xuan Che / CC by 2.0. 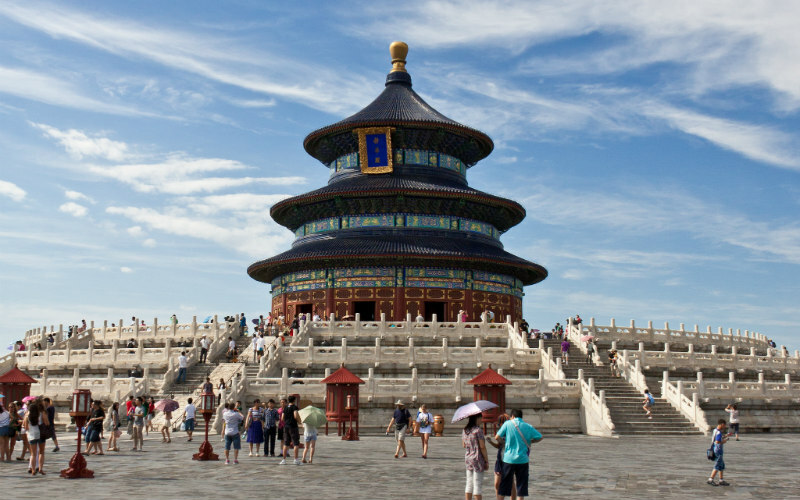 Constructed in the same period as the Forbidden City, the Temple of Heaven is a complex of imperial religious structures that served primarily as a place for the imperial emperor to pray twice a year for good harvests. Grand, ornate and sitting within 2.73 k㎡ of parklands, the complex, comprising of three main building groups, was World Heritage listed in 1998 and is now a great place to learn about the China’s imperial and spiritual heritage. The parklands surrounding the complex are a popular leisure spot for Beijing locals, with common activities including running, cycling and tai chi. Temple of Heaven, Beijing, China. Image Credit: Nikolaj Potanin / CC by SA 2.0. 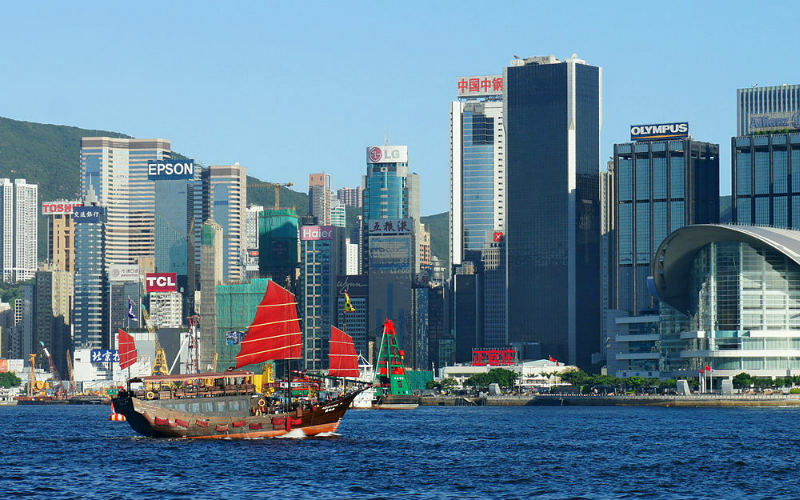 Set between Hong Kong and the Kowloon Peninsula, Victoria Harbour is a true icon of Hong Kong. Bustling with cruise ships, ferries and colourful junks, it is a must-see destination for any visitor to the island. Although it can be observed from the summit of Victoria Peak or from along the water’s edge, the harbour is perhaps best experienced on the water. Tours operate frequently, with modern and traditional boats allowing sightseers to soak up stunning panoramic views of the city skyline. The harbour is also illuminated each night with the Symphony of Lights, a lively light and music show. Victoria Harbour, Hong Kong, China. Image Credit: Mk2010 / CC by SA 4.0. 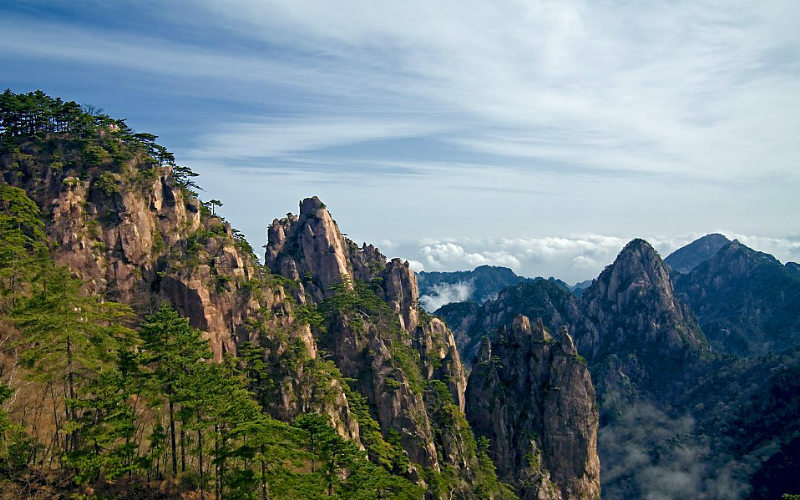 Huangshan is a World Heritage listed mountain range situated in eastern China. Also known as the Yellow Mountains, the area is best known for its fascinating pine trees, oddly-shaped granite mountains, hot water springs and the ‘seas’ of cloud that can be viewed from the upper reaches of its peaks. Popular with hikers, photographers and nature lovers alike, the area is spectacular at any time of the day, but particularly shines at sunrise. Many visitors make the trek to east-facing vantage points to watch on as the sun’s rays bathe the mountains and ‘seas’ of cloud with early morning light. Huangshan, Anhui, China. Image Credit: Chi King / CC by 2.0. Created to protect and accompany Qin Shi Huang, China’s first emperor, on his journey into the afterlife, the Terracotta Army is an amazing collection of hundreds of detailed, life-size terracotta soldiers, horses and chariots. 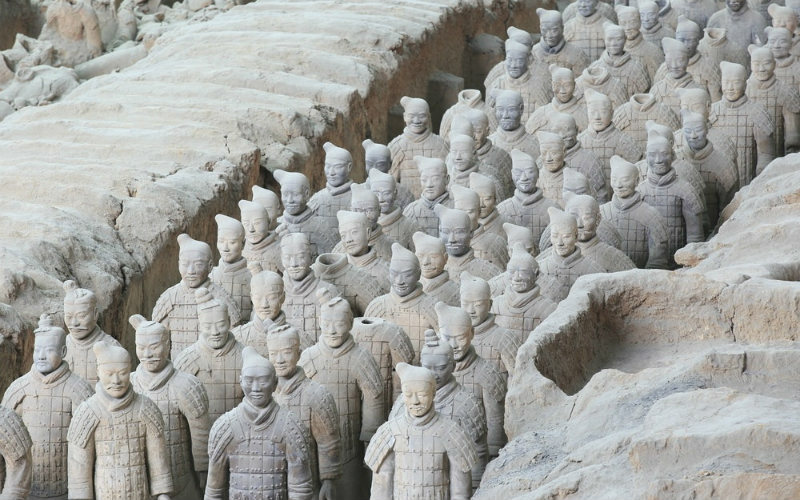 Rediscovered in 1974, over 2,000 years after their initial burial, the Terracotta Army is considered to be one of the world’s greatest archaeological sites, with visitors travelling across the globe to get a glimpse of the remarkable relics. Distributed between three different underground vaults, nothing quite compares to the sight of the ancient soldiers standing at attention in such large numbers. 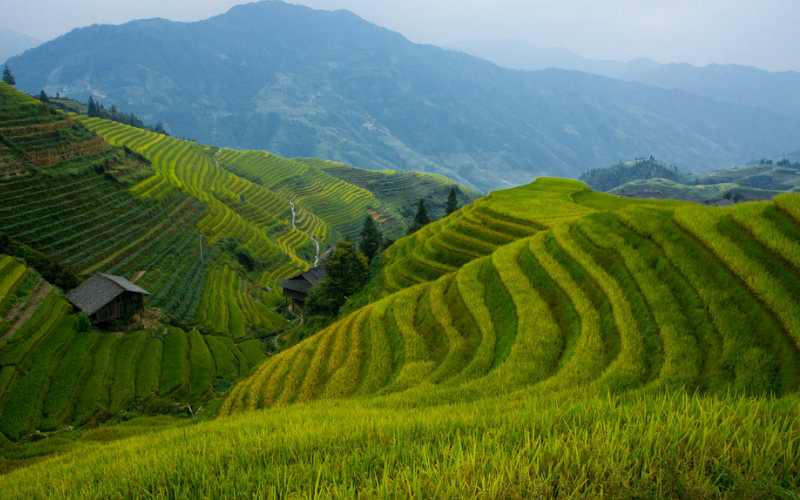 Established around 650 years ago, the Longsheng Rice Terraces, colloquially known as the Dragon’s Backbone, are terraced rice fields built into rural hillsides in the country’s south. An ingenious irrigation method that helps to maximise land use and minimise water consumption, the rice terraces are not only very practical, but are also an amazing sight to see. Much like the rice terraces of Vietnam, they contour along the curves of the local hills, creating incredible patterns best observed from afar. Set beyond the country’s bustling cities, the rice terraces are a great introduction to the beauty of rural China. Longsheng Rice Terraces, Longsheng, China. Image Credit: oarranzli / CC by ND 2.0. Ready to explore some of these amazing landmarks? Browse through the latest China tours available from Webjet Exclusives today!